Parents, it’s that time. Perhaps it’s the one you’ve been waiting for since the middle of June. 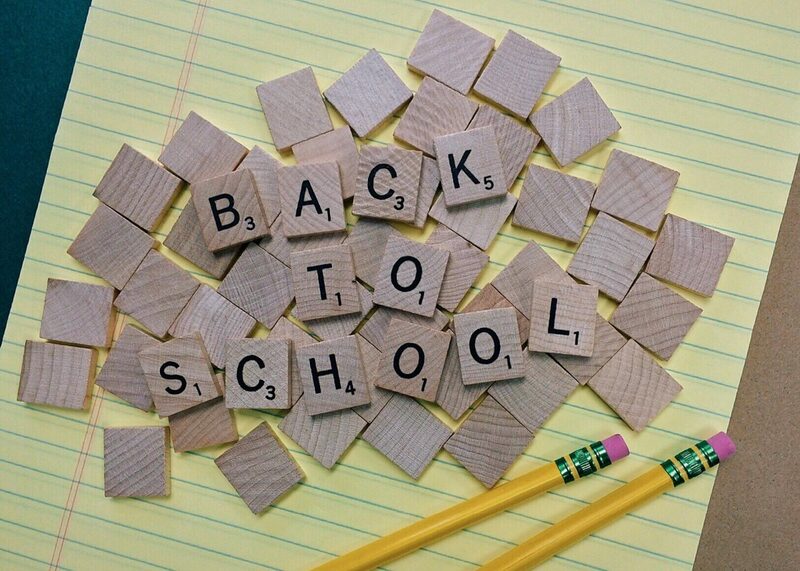 When it comes to back to school preps, there are so many things to do. From clothes shopping to making sure you get the right school supplies not to mention the back to school haircut, this time of year can become exhausting. Amid all of the running around, you’re probably instilling some reminders and some new rules too. Do any of these sound familiar? Don’t be too chatty in class. Try to actually eat your lunch at lunch so you’re not starving when you get home. Raise your hand and ask questions. These are all things I’ve been telling my little ones. But none of those is the most important lesson of all. The most important back to school lesson that I’m trying to instill in my girls is to be kind. I tell them while you don’t need to be BFFs with everyone, you do need to be kind to everyone. It means greeting everyone with a simple hello or good morning. It means not taking part in any name calling or bullying; in fact, if you witness any of that behavior you need to tell an adult so that it can stop. It means not laughing at someone when they trip or give the wrong answer in class. It means offering a helping hand whenever you can. It means asking another student to sit with you at lunch when you notice they’re always sitting alone. It means not saying anything if you have nothing nice to say. It means treating other people as you want to be treated. Basically, it means just being a good little human. While all of this sounds pretty easy, ask any child if it is and if many kids do it and they’ll tell you that’s not the case…not even close. Kids can be downright mean to one another for no reason. They name call, bully, and can be rude. I truly believe that no child is born that way; rude, mean, and with no regard for others. I wholeheartedly believe it starts with what they’re learning at home or not learning for that matter. Is there anyone there who is telling them not to make fun of the other kids or to always say good morning? I think in more and more cases the answer is no. Sometimes parents are so busy with their own lives or making sure their kids are competing academically that they forget about the basic need to be kind. In some cases, there are some parents who may not even find that important. That’s why I arm my girls with the cold hard fact that some kids can be mean so that they’re not surprised when they encounter them. They already know it’s true because they’ve experienced kids being cruel as young as six years old. They’ve been on the receiving end and know how horrible it feels. That’s even more of a reason to be kind. Being kind is one of those things that doesn’t take much effort but can mean the world to someone without you even knowing it. As you get your kids ready for school and see them off on the first day, don’t forget the most important back to school lesson…be kind. It will go a long way in school and in life. The other night my girls were getting ready for bed when my 7-year-old daughter was looking at a book and said something that blew me away. Right away I asked her how she even knew what that was because I know she hasn’t learned it in school. She went on to tell me that one of her classmates writes her name in cursive. After I put my kids to bed I began to think about how cursive has become the black sheep of the writing world. It was something I thought about before, but never really zeroed in on to be honest with you. Since Common Core standards don’t require teachers to teach cursive writing in schools anymore, many kids don’t even know what it is. When they hear the word cursive, they probably think it’s some kind of disease. I know I sound like my mother, but “when I was growing up” there was a big emphasis on cursive writing. 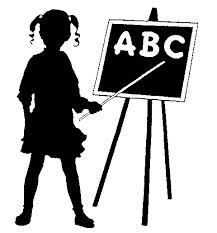 I remember the upper and lower case cursive letters hung around the top of the chalkboard all around the classroom so that we could always be reminded of what the letters looked like. We also had those papers with the dotted lines so that we could practice our penmanship. Cursive was where it was at. Fast forward 30 years and we are raising a generation of cursive-illiterate printers. 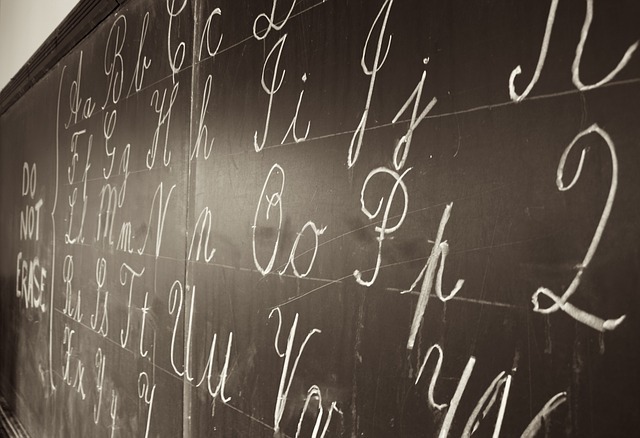 Here are some questions to all of those who have written off cursive. How are our kids going to sign documents when they grow up if they don’t know cursive? How are they going to sign checks? Will they even know what a “signature” is? Are they just going to print for the rest of their lives? I know there are a lot of people who could care less about cursive writing, that’s probably why it’s no longer mandatory in schools. But, I care and I find it a sad commentary on our little society. As a society we’ve thrown out so many of the “old school” things that used to be important and have value. Things like cursive writing for one. What have we gotten in return? Technology? Tablets and phones? Sure. While technology has helped in many ways, it’s also created a generation of kids who don’t have the social skills to have a conversation that doesn’t involve a text message. Many kids would be outraged if they could no longer text. But, not learning how to write in cursive doesn’t faze them in the least. OMG! BTW we need to bring back cursive kids! I’m excited that my 7-year-old daughter wants to learn cursive. Although I wish it was still mandatory in school, I’m ready to take on the challenge of teaching her. Maybe I’ll even break out my old penmanship award for inspiration. Perhaps cursive will make a comeback like the boy bands of the 90s. Until then I’ll be leading the cursive crusade in my house so my daughter will always have the “write stuff”. As a kid I was never a big homework fan. I did it because that’s what I was supposed to do. I’ll admit I was pretty good at it and did well in school. As a parent, my relationship with homework is more complex. Being on the other side of the coin, you begin to question the benefits of homework. Kids spend the better part of their awake time at school. When they get home should they do more school work or should their time be spent doing something else? Hmmm…. For years there’s been a “10 minute rule” attached to homework. Many educators seem to follow it from what I’ve read. It means ten minutes of homework for each grade level. Ten minutes for grade one, twenty minutes for grade two, etc., etc.This tends to ring true in my house. Both of my girls come home with homework four out of five nights a week. My oldest daughter is in second grade and her homework takes her about 15 minutes, maybe 20 on a bad night. My youngest daughter is in Kindergarten and her homework takes about five minutes. In the big picture, I know this is not a lot of time out of their day. Still, my girls do not want to do more work when they get home from school. 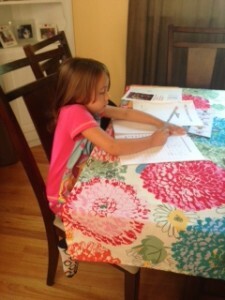 I know some parents who wait until after dinner to tackle homework. I’ve always been a “get it done early” kind of parent. I’ve tried the after dinner thing and it doesn’t work well in my house. My kids are even more tired and less interested. Many after school programs also have students do their homework right after school for this same reason. 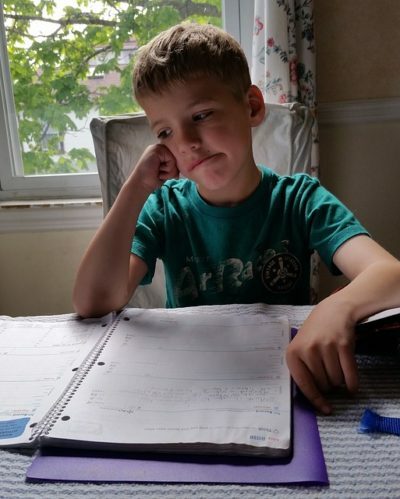 The big question is, should kids have homework at all? There’s research to support both answers to that question. Some say it helps when it comes to self-discipline and problem solving. Others argue it can lead to negative attitudes towards learning. There is also an argument to limit or eliminate homework for elementary school children. I know my kids would love that right about now! The “love” part of my relationship with my kids’ homework stems from the fact that seeing them do their homework gives me a first hand look at how they’re understanding the material. I can tell right away if they get it or if they’re having trouble. Sometimes asking your kids how their day at school was and what they learned is like pulling teeth. Parents, I know you know what I’m talking about here. You get the appetizer and the dessert, but you never get the full-three course meal. For this reason, I think homework is useful. There are other days when I don’t want my kids to have to worry about doing homework. I want them to have all the time they can to play or draw or do something they choose to do. They can worry about school the next day when they’re there for six plus hours. Let there free time be just that…free. I wonder if teachers find it time-consuming to correct all of that homework the next day. Couldn’t that time be used for something else? Just a thought. For this reason, I think we can do without homework. But, I can’t see a universal no-homework rule on the horizon any time soon. I’m sure there are many parents who would raise an eyebrow or two if their kids didn’t come home with homework. Some may wonder if the teacher is doing his or her job or what’s being taught at school. Either way, you’re never going to please everyone. So, perhaps the status quo will remain. Teachers will give homework. Kids will complain. Parents, like myself will continue their love-hate relationship until the next worksheet shows up tonight. Start the name calling and pouty faces. I’m putting the school work in summer. Yes, I know it’s going to be 80 plus degrees out and there are sand castles to be built and bikes to ride. My girls will get to do all that and then some. But, they’re also going to be reading and brushing up on their skills. I’ve been browsing the internet and reading some debates about whether kids should be doing “homework” over the summer. For every yay there’s a nay. See, I don’t really consider my little plan “homework”. It’s more like “Let’s stay smart so we don’t fall back in September.” I don’t think that makes me a mean mom. I think that makes me a mom who cares about her children’s success and is taking a hands on approach to help them get ahead. Why let them fall victim to the so-called “summer slide” and waste all the progress made over the school year? It just doesn’t make sense to me. I can’t understand why so many parents are still anti-school work over the summer. What kind of horrid school work am I going to subject my children to this summer? For my soon-to-be Kindergartener, we’ll be practicing writing her letters and numbers as well as her name. Her new school actually sent home a packet of practice sheets to help with the process. While some parents scoffed at it during orientation, I wanted to give the packet a big old bear hug! At least now I don’t have to go looking for sheets to help her. We’ll also be practicing counting and shapes. For my soon-to-be second grader, we’ll be reading books to keep her skills up to par. We’ll also start working on more reading comprehension so she knows what she’s actually reading. I’m also going to have her brush up on her math so she doesn’t forget the skills and tricks she’s learned over the year. Before you think I’ll be chaining my kids to the kitchen table for hours on end over the summer, think again. We’ll do these little exercises ten to fifteen minutes a day or every other day. Reading will be done for at least another ten minutes a day. On average, my kids will spend 20 minutes a day doing dreaded school work. I’m going to try to bang it out in the morning so the rest of the day is free. That leaves 23 hours and forty minutes a day to do whatever else they want. I don’t think that’s too much to ask, do you? Here’s the alternative. I can have them not do any kind of school work all summer. They can go back to school in September and not remember anything they learned. They’ll waste time re-learning things they knew so well. They may even run the risk of falling behind if everyone else is on the express train and they’re stuck making all the local stops. All for what? All in the name of summer fun? There needs to be a balance. The earlier we teach our kids this coping skill, the better. They need to learn just as there’s time to play over the summer, there’s also time to learn. It’s just like fitting in play time during the school year. It all gets done. No child ever suffered from reading or practicing some letters over the summer. So, yes, my kids will be doing school work over the summer and I’m not sorry. Okay, so summer is here and the kids just want to play. They are done with school and don’t want to see a flash card or worksheet until September…realistically the end of August. But, as a parent, you know they need to continue to read and do “school stuff” at least a little bit to keep their little heads in the game. You really don’t want them to be a victim of the so-called “summer slide”. So, what’s a momma to do? Well, call me the “mean mom”, but I’m carving out about a half-hour four days a week for a little summer school, if you will. What does this entail? 1. Reading a book– For my older daughter, this means reading a book to me. For my younger daughter, it means reading a book to her. No TV. No electronics. Just us and the books. Sometimes the reading to me part takes a bit longer depending on how many words we need to stretch out. Don’t get me wrong, there have been plenty of times when I just want to shout out the word. But, I control myself and remember that she has to do it if she wants to become a better reader. 2. 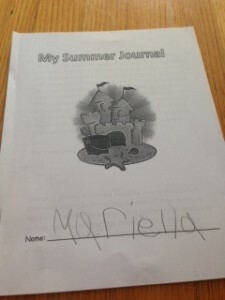 Summer Packet– This one is just for my soon-to-be first grader. Her school sent home a packet of little learning activities to reinforce some of the Kindergarten lessons. From rhyming words to addition, there is plenty to do here. We’re just taking it page by page. 3. 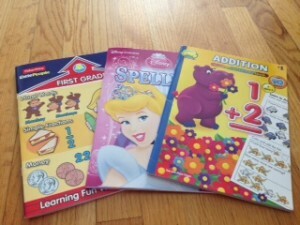 Workbook Bonanza– Okay, so the bargain shopper in me went a little crazy here. I found a great dollar store that had tons of workbooks for pretty much every age group. So I bought a bunch for each of my kids. These are great to freshen up skills already learned as well as to learn some new ones. The best part is that each fab book was only a buck. 4. The “Write” Stuff– My older daughter writes in a summer journal that was sent home while my pre-schooler practices her letters. This way both kids are writing at the same time so no one feels left out. 5. 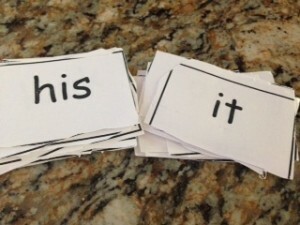 Done in a Flash Card– From sight words to simple math, we love flash cards in my house. This is a quick way to know what your child actually remembers. You can make games out of them by seeing how many they can get right. If you can’t find what you need in a store, you can easily make them yourself with index cards so that you can customize them to your child’s needs. So, this little curriculum isn’t so bad, right? I mean, it’s not like I’m bombarding my kids. There is still plenty of time for fun. What do you do to keep your kids learning over the summer? So, we’re a few weeks into this Kindergarten thing and let me tell you, I’m a little surprised and overwhelmed by all of the things my five-year-old daughter is learning and is expected to learn by the end of the year. Gone are the days of coloring, play kitchens and dolls. There really is no time for fun. All of that has been replaced by sight words, writing and reading. I believe by the end of the year, by daughter will need to recognize dozens of sight words, be able to count to over fifty, write her letters and numbers, and be able to do simple addition and subtraction. There’s probably more, but my head was spinning so much when they rattled off the list that I probably forgot a thing or two. I know a lot of this has to do with the new common core standards that the schools are using. They are raising the bar so our kids can be smarter and more competitive when they apply for college and jobs. I truly do think this is wonderful, but I also think there needs to be a better balance especially when many kids are still only going for half a day. Actually, let me correct myself, two and half-hours a day. While many districts have transitioned to full days, other schools are still only half day with some kids going in the morning and others in the afternoon. Our district is one of those although they are paving the way for full-day Kindergarten in the near future. Two and a-half hours is a short amount of time to cram in daily math, reading, writing lessons, as well as an occasional “special” (art, music, gym). Don’t forget snack time too! My daughter comes home with a folder full of work she has completed in class each day. When I ask her if she did all of that in one day, she says “yes”. I look at what I did while she was gone and I feel like a real slacker! I give the teachers and students a lot of credit to be able to do so much in such a short amount of time. Let me tell you, come mid-afternoon, my daughter is exhausted. It’s no wonder since her mind was in Kindergarten boot camp all morning! With all that is expected of these growing minds, I cannot see how a child can succeed without help at home. Besides the daily homework sheets, we spend more time reading, pointing out site words, and practicing some troublesome letters and numbers. I am blessed to have the extra time to do all of this. Without this extra push at home, I cannot see how kids can fulfill all the requirements outlined in the common core. With that said, when all of our work is done, there is still plenty of time to play. I think you still need to let kids be kids, especially five-year-olds. That means time to play. 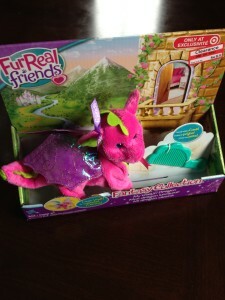 Playing teaches kids things like sharing and how to interact with other people. Those are just as important as math and reading. While I think it’s great that we are expecting more out of our kids, I think we have to be careful not to forget there is more to a child than the common core. ‘Twas the night before Pre-K and all through the house, all my babies were sleeping believe it or not. The lunch bag has been packed by the door for weeks. It’s filled with all the food your tummy will seek. For your first day, Elsa and Anna will be on your shirt. We all know you love “Frozen” more than Ernie and Bert. There are so many things I want you to know before you get up and go. First of all, be sure to share the toys with all the other girls and boys. If they don’t let you play with a doll or truck, please don’t say the other word that rhymes with luck! Your finger is not to be put up your nose, you know the tissue is where your booger goes. Remember to be kind and keep the feelings of others in mind, if you do this a friend or two I’m sure you will find. You’ll learn so many things like how to color in the lines, as well as letters and numbers. I know you’ll be just fine. When it’s time for me to say goodbye, I’m hoping a tear won’t fall from either one of our eyes. Oh my little one, your time is almost here, there is a lot of fun to be had and nothing for you to fear. Big sis goes to Kindergarten, this we all know, but tomorrow is your day little sis, to pre-k you’ll go. ‘Twas the night before Kindergarten and all through the house not a child was stirring not even a toy Mickey Mouse. 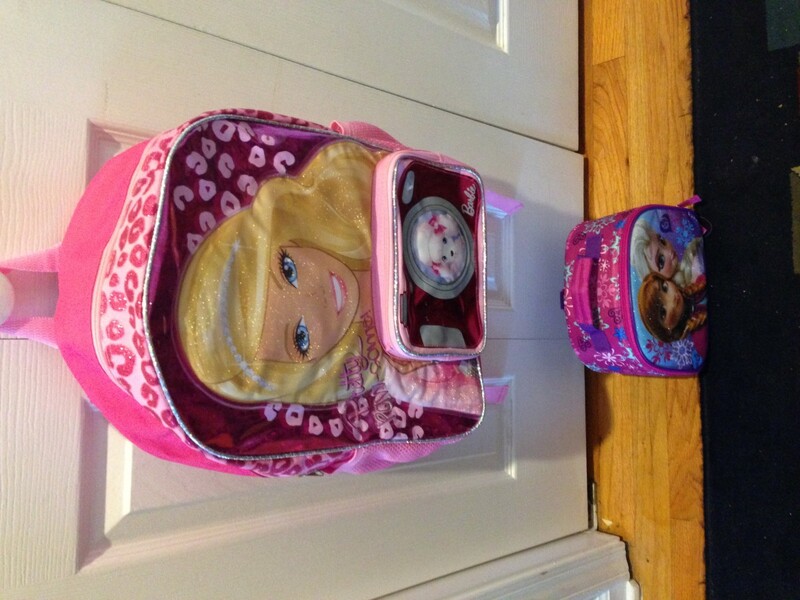 The book bags were hung by the door with care hoping that all of the supplies were packed neatly in there. The children were snuggled all in their beds while dreams of ABC’s danced in their heads. I was in the kitchen checking the snacks deciding which ones would make it in their lunch pack. So many snacks, which ones to choose? I must pick the ones that won’t receive any “boos”. To the top of the fridge to the bottom cupboard drawer, Gogurt and fruit snack you win the award. Now that the snacks are packed, there’s not much to do. I have everything ready, even your non-light up shoes. The sun will be up, the time is almost here, don’t laugh if mom sheds more than one tear. The bell is ringing, don’t be late. I know you’re going to do better than great. You’ll write your name, you’ll do your numbers, there’s a lot of work to do before you can return to slumber. The big day is here, give a big shout! You’re about to see what Kindergarten is all about! Can Kids Learn at Any School? As my daughter and so many of my friends’ kids get ready to enter “big kid” school, A.K.A. Kindergarten, I’m finding that schools are a common topic of conversation. Do we send them to public or private school? Is one town better than another? Do we pack up and move to another district that is known to have better schools? Ugh. There are so many questions. For every question, there are a handful of different answers that don’t make the decision any easier. As in any discussion everyone has an opinion and not everyone agrees. I kinda miss the days when our discussions revolved around “90210”. But we’re growing up and so are our kids. When the subject comes around, I always say a child can be in the “best” school district and still be a bad student. They can have every resource available to them, but if there is not the drive to learn and the reinforcement at home, I do not believe they will succeed. With that said, you can have a child in an average or below average school excel because he or she wants to learn and has parents who support the cause. I’ve had many people tell me that is not the case. I’ve done my research and have found that many schools are designated as “great” because of their test scores. Well, we all know not everyone does well on tests. I think that is an unfair assessment of a school and its students. I think you need to take other things into consideration such as the quality of the teachers, student involvement, parent involvement, and activities. As with anything that deals with children, I believe everything starts at home. With that said I think parents need to make it their job to help their kids with schoolwork at home. Learning shouldn’t stop just because a child gets off the bus. My daughter starts Kindergarten in two weeks. She will be going to the public school in our district. Is it the best school in the district according to test scores and the “Great Schools” rating online? No. Is it still a good school? I have to say yes because I have talked to several parents whose children went there and those who still have children enrolled and I have not heard one bad word. I’m not saying it’s perfect, but when I mention the school, the first response I’ve gotten has always been a positive one. The principal and teachers also left a great first impression during orientation. I also like the uniform policy as well as the security that is in place. Those are the factors we based our decision on. So, if you ask me if a child can learn at any school, I will have to say “yes” as long as they have the drive to learn and the support at home. What do you think? As a parent, I hear “I want” and “Can I have?” more times than I can count. It is annoying. But, it goes along with the territory. Kids just don’t understand that I nor my wallet can give into every “I want”. I could say I want to, but honestly I don’t. Kids, mine included, need to learn that they can’t get everything they want or think they need. They don’t understand that mommy or daddy sometimes just doesn’t have the money. They don’t understand how much things really cost. With that in mind, I decided to teach a real world lesson in money to my daughters, ages 2 1/2 and nearly 5. It all started when we went to empty their piggy banks and sort out some change. Mixed in with all the pennies and dimes, were a few dollars here and there. Of course they both asked if they could have their money. Instead of whisking it all away to their savings account, I decided to give them each ten dollars. I told them they could take that money and buy whatever they wanted when we went to Target that afternoon. Of course our trip took us to the toy department. We started in the Barbie aisle. My older daughter was drawn to a Barbie wedding set, complete with the flower girl and all the trimmings. “Mommy, mommy, I’m gonna buy this.” I didn’t even have to look at the price tag to know that it wasn’t in her price range. At $39.99, I had to tell her no because she didn’t have enough money…that and several other items we thought we couldn’t live without. So, we moved over to the Disney aisle. This is going to be fun, I thought. She ran over to the rather empty “Frozen” section. She just had to have the Elsa dress up costume. But, at $19.99, it wasn’t coming home with us. This went on for a good twenty minutes, with me explaining each time that there wasn’t enough money in her tiny hand to foot the bill. Sure, I could have thrown in a few bucks for the items that were close to her range, but then my little lesson would be for nothing. My younger daughter didn’t grasp the concept of not having enough money despite the amount of times I told her. But, she did understand the idea when I said no. I watched her wait for her sister to choose something I would say yes to before she made her decision . After going back and forth between the aisles enough times to make my head spin, I thought we were going home with a new Cinderella doll. It was under ten dollars, meaning my girls would have some money to put back in their banks. Then, my older daughter saw something she couldn’t go home without. I looked at it and shook my head. Really? You want that? At $8.48, this was my kids’ choice! It was a “FurReal Friends” dragon that walks. I looked at the price…$8.48 on clearance (regularly $16.99 which I thought was crazy for something so tiny!). That’s my girl, finally looking for the sale! Once I said yes, a huge smile spread across her face. Little sister chimed in with a “me too”. I explained that at that price they would still have money to put back in their piggy banks. This made them even happier. We went to the cash register where they each paid separately, getting their own change, bag, and receipt. It truly was Christmas in July. They were happy. I was happy. I felt like I really did teach them a lesson. I doubt it will last years from now when they want cars, but I’ll savor my small victory for now.